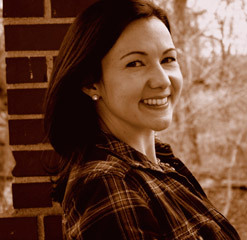 Ashley Hope Pérez is the author of three novels: Out of Darkness (2015), The Knife and the Butterfly (2012), and What Can’t Wait (2011). Out of Darkness was described by The New York Times Book Review as a “layered tale of color lines, love and struggle in an East Texas oil town,” and was selected as a best book of the year by both Kirkus and School Library Journal. It received a 2016 Printz Honor for Literary Excellence in Young Adult Fiction, the 2016 Tomás Rivera Book Award, and the 2016 Américas Award. What Can’t Wait and The Knife and the Butterfly appear on YALSA’s Best Fiction for Young Adults and Popular Paperbacks lists. Ashley also holds a doctorate in comparative literature and is a professor of world literature at The Ohio State University. She lives in Columbus, Ohio, with her husband and their two sons. Visit her online at www.ashleyperez.com, Facebook, Twitter, and Instagram.